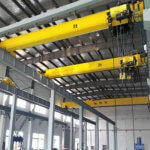 Grab crane manufacturers for everyone to introduce the use of grab crane requirements, specifications and classification; grab crane is a kind of automatic pick-up machine, grab and unload its material movements by the unloader driver manipulation, not Need auxiliary personnel, thus avoiding the heavy labor of workers, saving auxiliary working hours, greatly improving the handling efficiency. 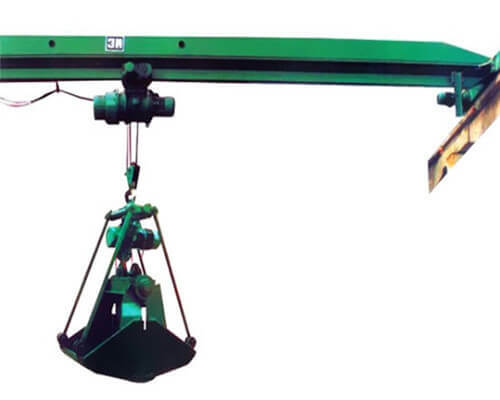 Grab cranes are generally divided into bridge grab crane, gantry crane, folding arm grab crane. For example: grab crane before the birth, loading and unloading ore dock, the warehouse with 12 to 16 workers, each a shovel, a group of two, each holding a large net pocket, a shovel a spade Wang pocket net to pocket shovel mineral powder, a net bag up to 4 tons of cargo network. A net shovel full, then use the crane to hang up. A warehouse only up to 200 tons of cargo 8 hours. Today, large ship unloading ore, ore handling more than 2,000 tons per hour, greatly providing production efficiency. 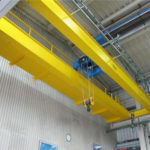 For example: grab crane before the birth, the dock loading and unloading of logs, the warehouse with 4 to 6 workers, first with small wire rope in the pile of cross-section of the crevice to wear to wear, surrounded the estimated area will be Two ends of the small wire rope hanging on the crane hook, lifting 1 to 2 meters away, so that one end of the wood upturned, and then workers take a 16-28 wire rope, wire rope front there are heavy hooks, from being lifted With the empty block in the woodpile thrown past, the other side of the workers quickly catch, or wire rope hooks will fall into the woodpile groove, the workers reluctant to pull the wire rope to re-thrown, or the other side of the workers with long wood The tools on the sticks hook up the rope, and the hooks hang on the wire rope to bind the logs … During this process, the logs may roll and crush the workers’ hands and feet. It is also possible that workers may bundle more logs and the ropes are empty Interrupted, a dozen or dozens of logs fall in the air, will kill people. Later, sailing invented wood grab, greatly reducing the personal injury accident. 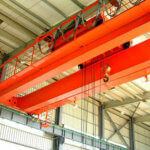 Crane operators should operate the crane. It is prohibited for anyone to stay on the crane while the crane is working. 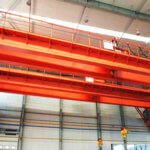 The crane should be at least 0.5 m above the highest obstacle on the heavy running line when running with heavy loads. Do not throw items directly from the crane. It is forbidden to put inflammable goods on the crane. Tools and supplies must be placed in a special box, prohibited on the cart or car, so as not to fall. Do not lift heavy objects across the human head. In operation, found that the crane has an abnormal phenomenon must immediately stop inspection, troubleshooting after work. When the crane’s lifting brake suddenly fails, the driver should calm down and take appropriate measures according to the specific circumstances. If the surrounding environment does not allow. The object to be dropped directly, you can repeatedly lift, and start the car choose a good place to drop objects to be dropped, do not let it free fall. When lifting the grab, the hoisting ropes should be made equal to the opening and closing ropes so that the wire rope can be evenly loaded. Grabbing is not allowed to grab the entire piece. Before each shift, check the fastening of the rope at the hanging of the grab and the condition of the guide wheel of the grab open-close rope. With the development of society, some intensive manual labor is gradually replaced by mechanical production. 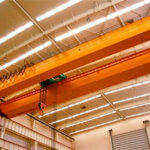 Crane is one of the most widely used industrial machinery. It has the functions of reducing labor intensity, saving manpower, reducing construction cost, improving product quality and speeding up Construction, construction mechanization of the construction plays a very important role. grab, crane loading and unloading bulk material is a pick-up device, mainly for a large number of bulk loading and unloading of objects. It is grabbed and unloaded by the driver operating in the driver’s room, without the assistance of auxiliary staff, which work efficiently, widely used in ports, railway stations, mines, yard and so on. The generation of grab crane to avoid the heavy labor of workers, saving the auxiliary working hours, greatly improving the handling efficiency, and can avoid personal injury workers and improve product safety. 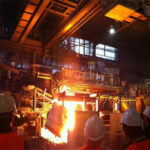 the mining industry, the use of grab for underground operations and the demolition of open-pit mines, loading operations, also showed its unique advantages. In the construction site, also received good results. 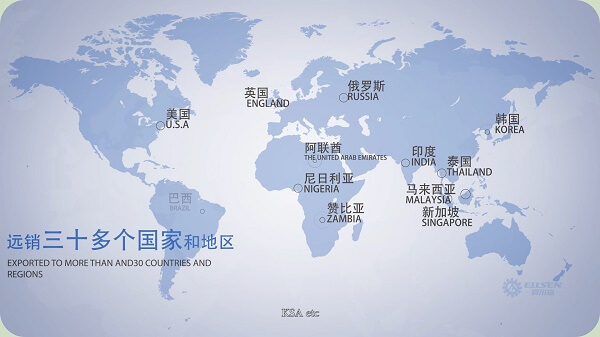 At present, the scope of use of grab at home and abroad is expanding day by day, and the types are also increasing gradually for different departments and targets, and the trend of specialization also becomes obvious. 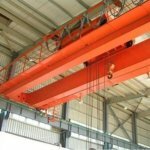 The research and development of engineering cranes in our country started in the 1950s and 1960s and experienced the introduction and absorption from the late 1970s to the 1980s and the self-development stage since the 1990s. At present, the overall lifting engineering is becoming more and more common, which requires Lifting crane lifting capacity, operating range and height of more and more. Large lifting hoisting equipment from the past by a single pole way, and gradually expanded into a high-performance, more secure and reliable large-scale mobile crane as the core lifting equipment. 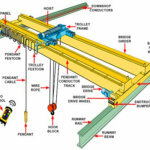 China’s grab design is subject to technical limitations, more of a single function, large size, the low degree of automation of the mechanical grab. In recent years, under the hard work of countless technicians, some breakthroughs have been made in the area of grapplings, such as the halberd-type opening and closing mechanism with side positioning, the connecting mechanism with bucket teeth and the edge plate, the closed-loop series connection of hydraulic cylinders Asynchronous open and close multi-jaw grab, station yard unloading logs with rotating positioning device, as well as on the long strut grab has greatly improved torque props push props and so on.